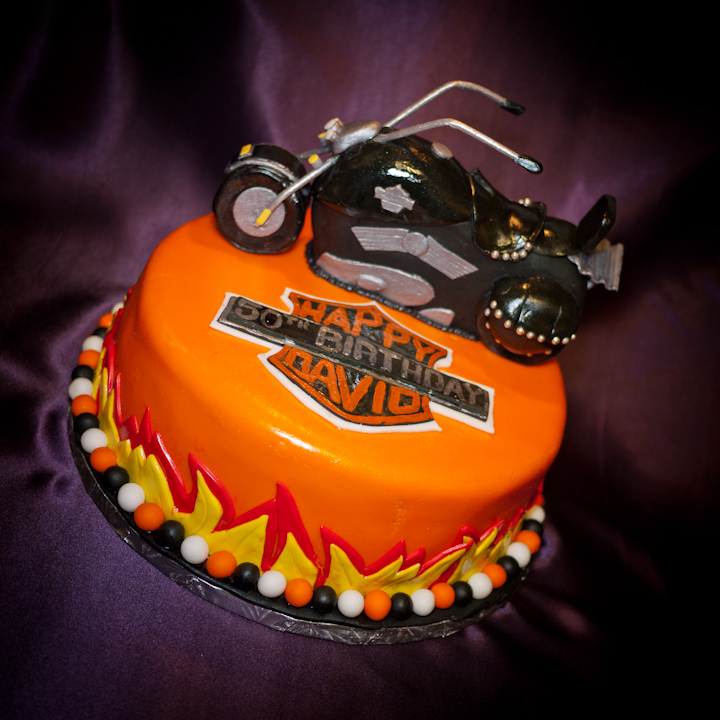 This was a Harley inspired birthday cake for a milestone birthday. 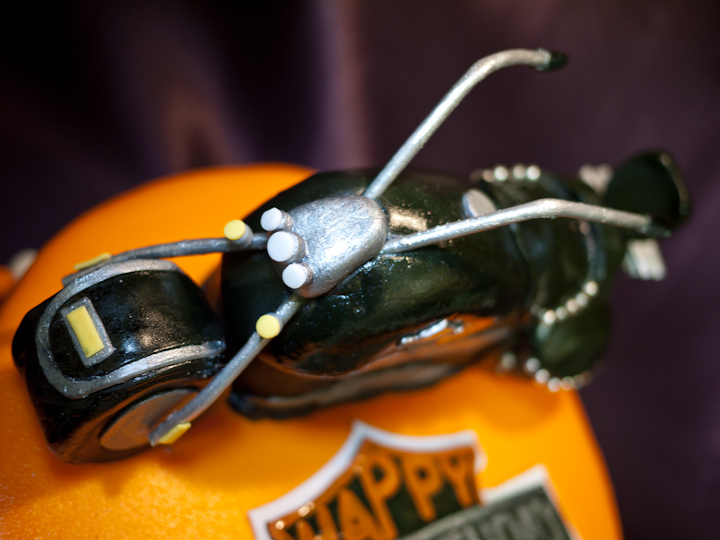 The motorcycle was made from rice krispie squares and covered in fondant. The cake was a chocolate cake with peanut butter buttercream. Posted in cupcake, Uncategorized and tagged baby shower, birthday, bridal shower, cake, cake pop, cupcake, oshawa, pickering, thornhill, toronto, wedding, wedding shower, whitby. Bookmark the permalink. 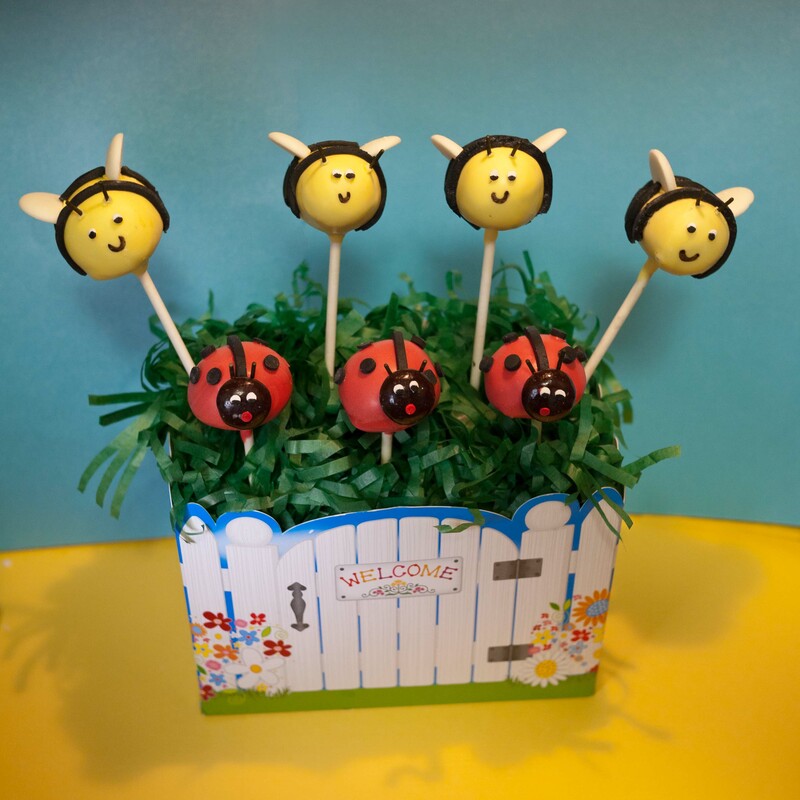 These vanilla bumblebees were decorated with fondant, and white chocolate wings. 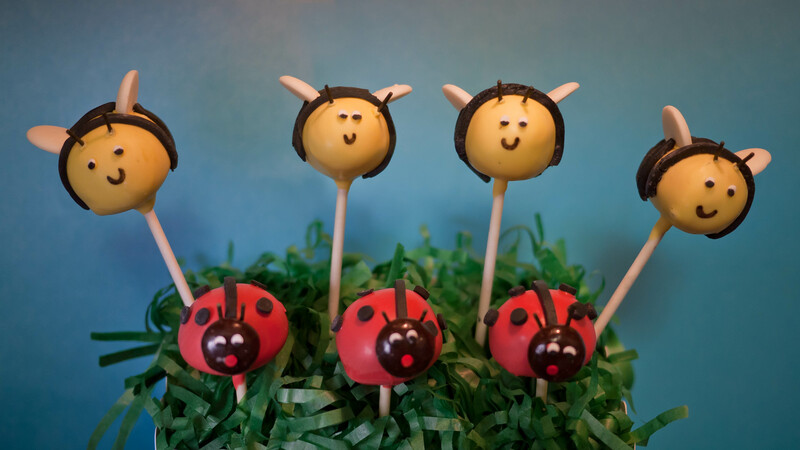 The chocolate ladybugs were decorated with black fondant spots and a junior mint face. They were the perfect addition to a very special uncle and cousin’s birthday celebration. 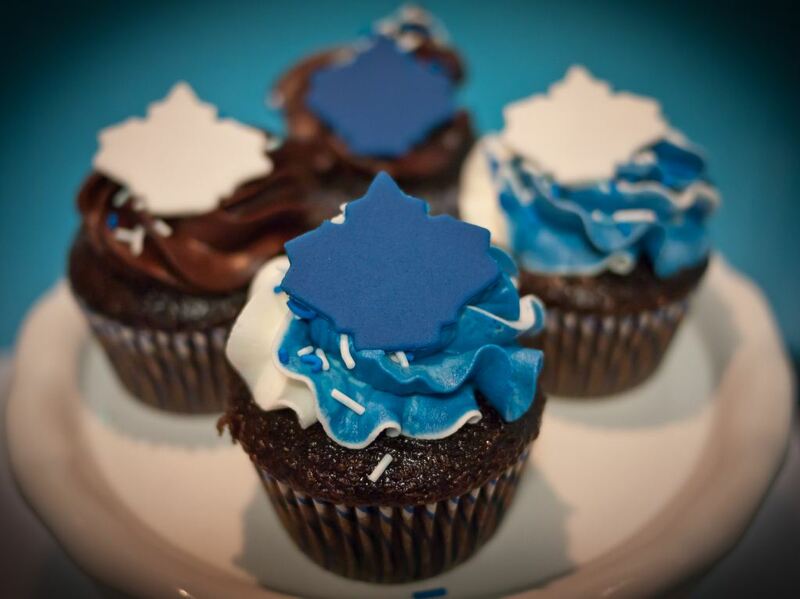 Posted in cake pop, Uncategorized and tagged ajax, baking, birthday, cupcake, north York, oshawa, pickering, Richmond hill, thornhill, thornhill woods, toronto, wedding, whitby. Bookmark the permalink. What screams summer more than strawberry shortcake…strawberry shortcake cupcakes. When I saw that fresh Ontario strawberries had arrived at my local farmers market, I could wait to find a recipe that screamed STRAWBERRIES. These fluffy vanilla cupcakes were filled with a fresh strawberry preserve, topped with strawberry buttercream and finished off with a fresh strawberry. MMMM!! !